HIGHLY controversial Pana crooner, Tekno Miles, aka ‘Alhaji Tekno’, is presently in the United States for urgent medical treatment for acid reflux which he has been suffering for about a month now. “I know I’ve disappointed a whole lot of promoters and my amazing fans worldwide. I’ve been sick for over a month now from acid reflux and it has worsened. I want to apologize for any inconvenience this may cause; all the show refunds and all the loss. “I’m not taking any bookings now as I’m off to America for proper treatment. By God’s grace I’ll get better in no time and be back on stage. “If you could share a little prayer for me I’ll be grateful. Good health to you and yours”, he wrote. 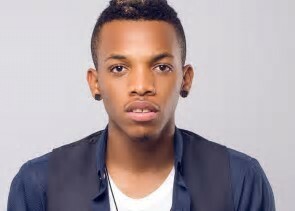 Showtime wishes the energetic singer a speedy recovery, get well soon Alhaji Tekno.